Last fall, we did an article on 10 Movies for Fashion Inspiration. While some great movies with inspirational style were featured, there are still so many style-inspiration-worthy movies out there. 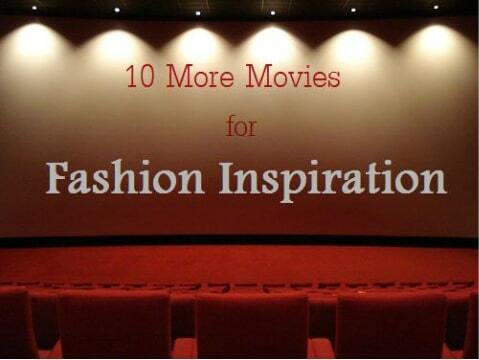 That’s why I am continuing the series with 10 more films to draw fashion inspiration from. I tried to cover a large span of decades and styles, so hopefully there’s something for everyone. Also, these movies not only have enviable style, but they’re actually great films to watch, so check them out if you haven’t already seen them. This film, starring Katharine Hepburn and Cary Grant, is the epitome Old Hollywood glamor. Hepburn wears gorgeous gowns, hats and coats, and looks completely elegant– all while taking care of a baby leopard. For more about this Old Hollywood style, see Fashion Inspired by Bringing Up Baby. 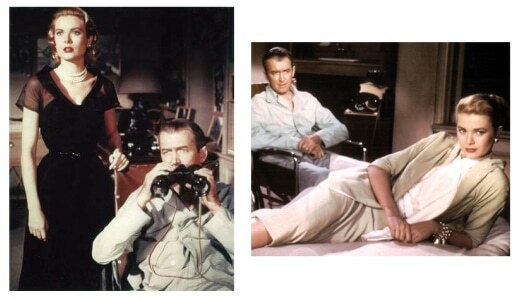 For more on the classic fashion from this film, see Fashion Inspired by Rear Window. For more on dressing like a 1950s bombshell, check out Fashion Inspired by …And God Created Woman. 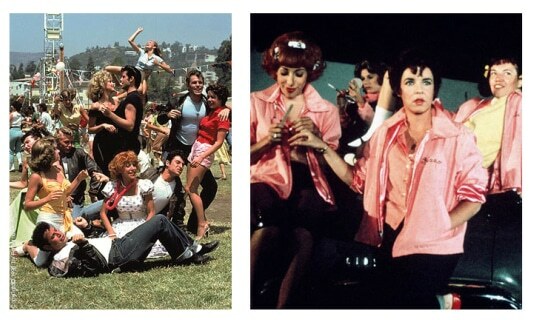 For more on how to dress in the fun styles of Sandy or the Pink Ladies, check out Fashion Inspired by Grease. 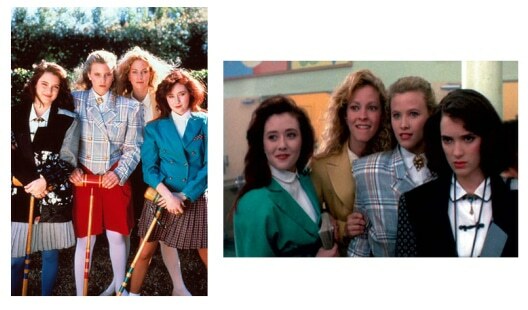 For more on dressing like an 80s schoolgirl, check out Fashion Inspired by Heathers. For more on dressing like a total Betty, check out Fashion Inspired by Clueless. For more on the beautiful, yet simple style featured in the film, check out Fashion Inspired by The Virgin Suicides. 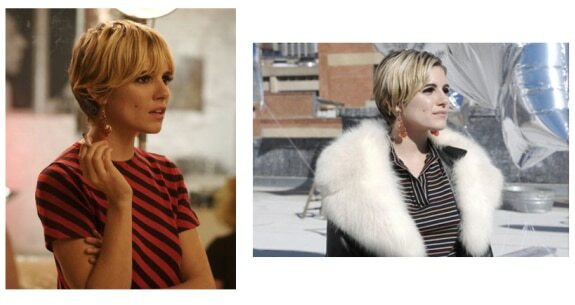 For more on Edie’s mod style featured in the film, see Fashion Inspired by Factory Girl. For more on how to capture this casual and effortless fashion, check out Fashion Inspired by Vicky Cristina Barcelona. For more on how to be über-fashionable like Rebecca Bloomwood,see Fashion Inspired by Confessions of a Shopaholic. Have you seen any of these movies? Have you ever been inspired by a film? Is there a movie that should be added to the list? Leave a comment and let us know!